A nicely made tool machined from a solid block of tool steel. The smooth surface supports your work and the nine holes (from 1/8 inch to 5/8 inch) allow clearance for cutting tools and punches. 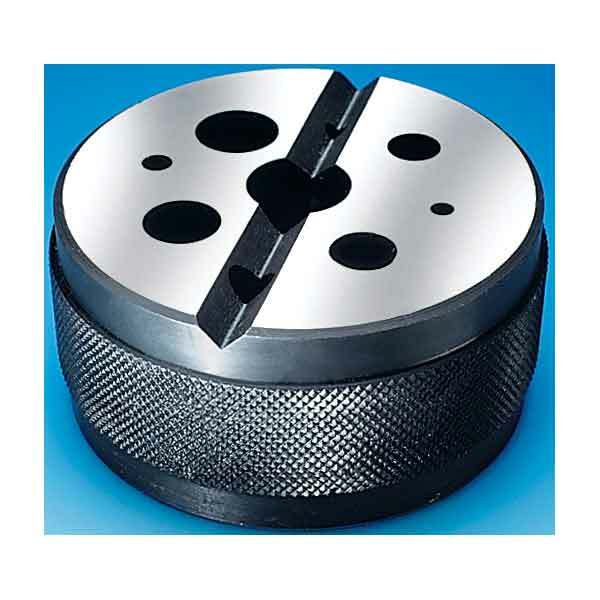 Use for drilling, tapping, reaming, pin punching and more. Has a V groove across the top surface for holding round and odd shaped stock. 3 inch dia. x 1-3/8 inches high.